4:22pm UPDATE: High tornado likelihood near Wiggins, MS and Mobile, AL. 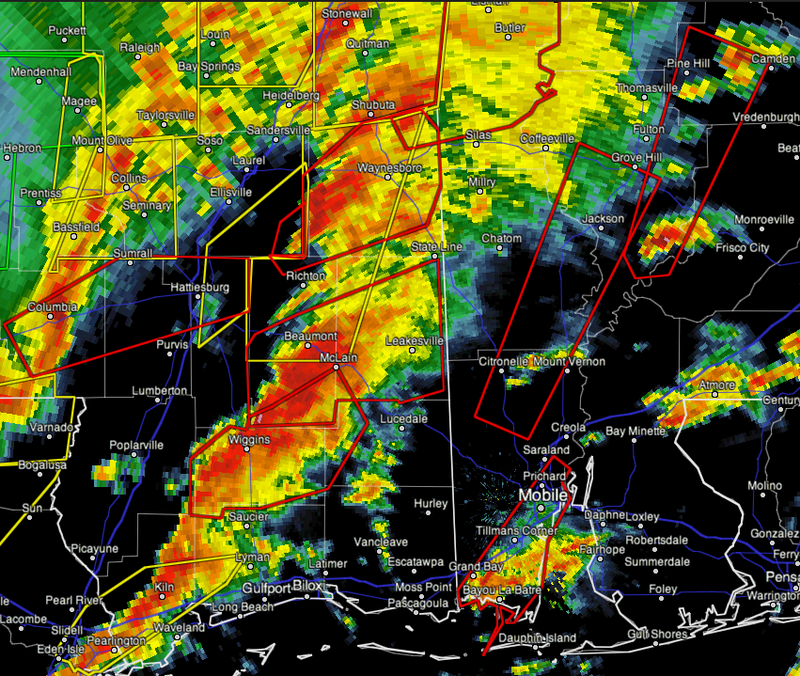 Take cover in all of the tornado warnings! 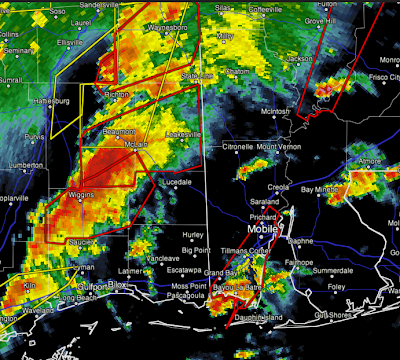 Red polygons are tornado warnings. Additional information on Twitter @usweatherexpert .